This time Claudi visited a super smiley & easy-going guy called Jonas. Jonas is part of the team at himmelbeet. 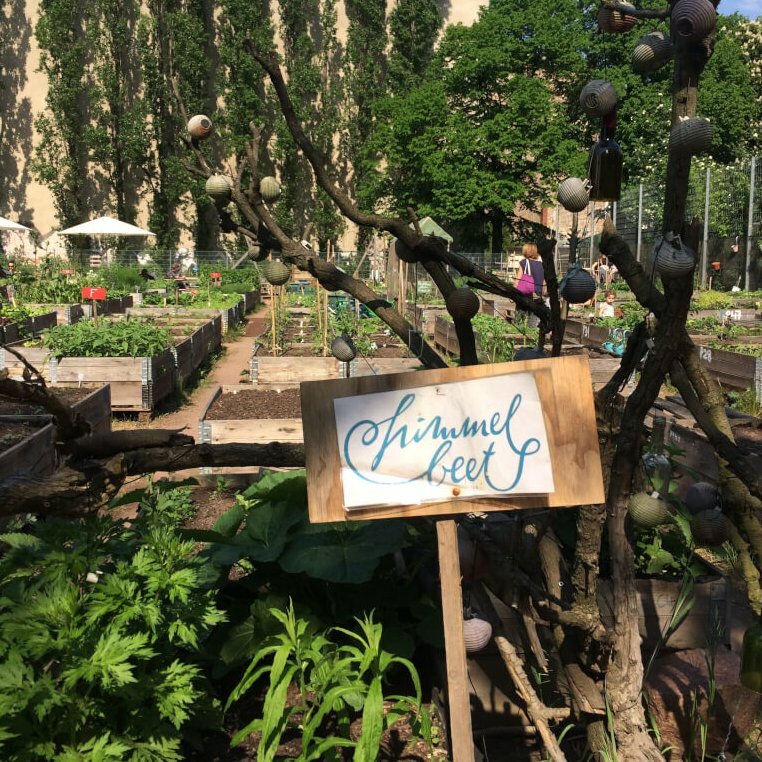 And himmelbeet is an amazing, colorful urban garden in the middle of a pretty grey, concrete-clustered area - if you get off the u-bahn, you would never imagine a place like this around the corner! The Wedding neighborhood itself is such a fascinating area! Lots of different faces, it’s the district with the highest ethnic diversity in the whole city - making it a bubbling melting pot of cultures, lifestyles and ideas. 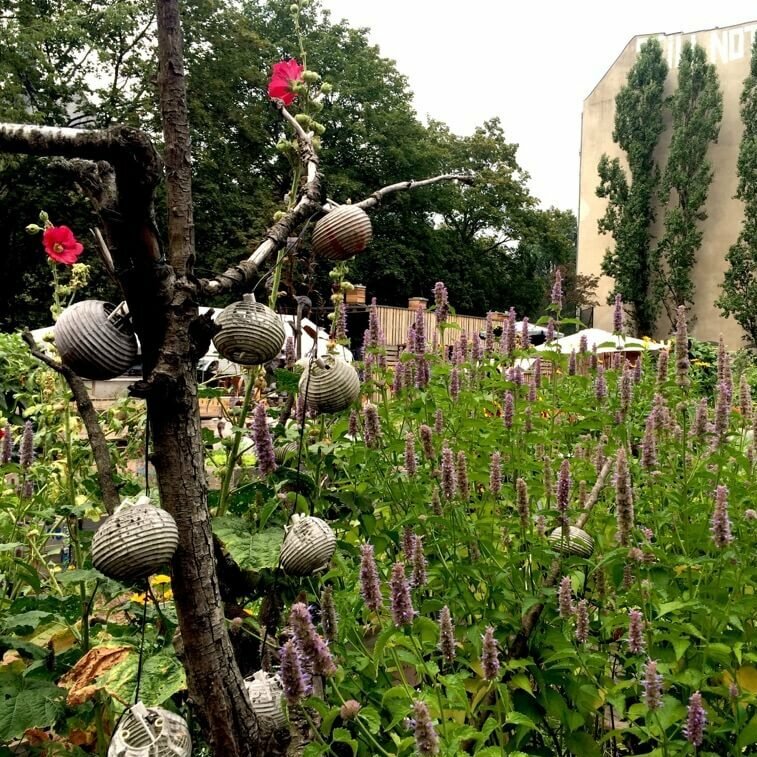 In terms of urban gardening, there’s been a little explosion in Berlin in the last 5 years or so. 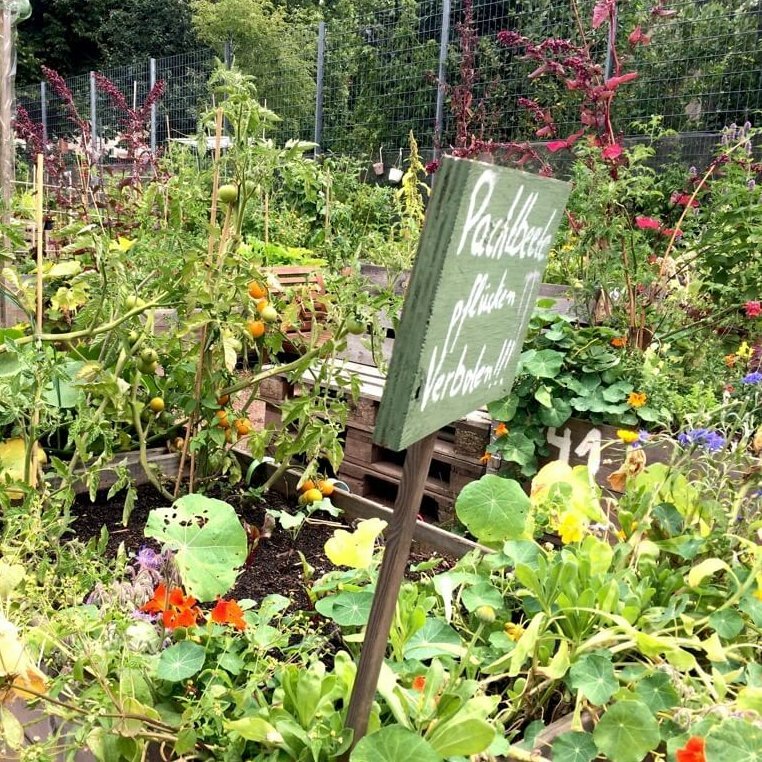 We now have more than 100 community gardens in the city - can you imagine?! But himmelbeet definitely stands out. 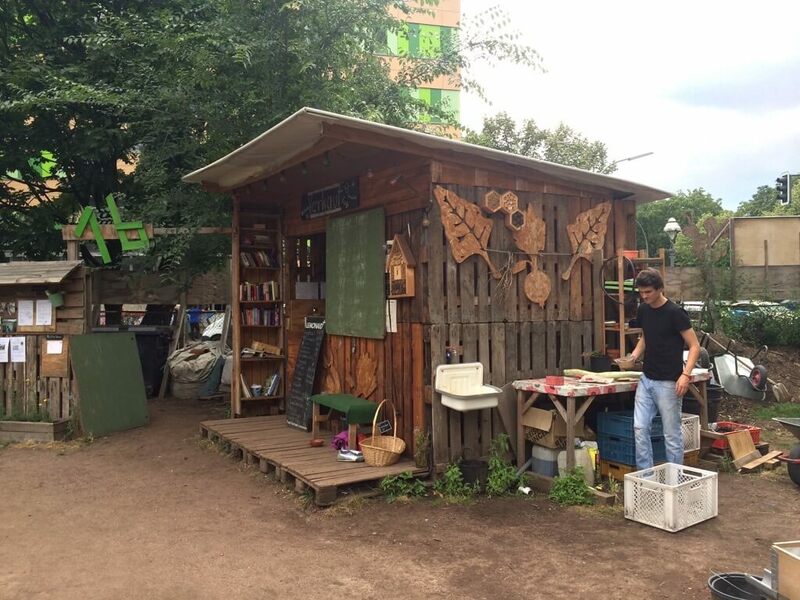 Since it started in 2012, it has grown into one of the most engaged, recognized and innovative projects in Berlin. Oh and by the way, name himmelbeet means as much as sky bed - and I truly feel closer to heaven round here. To start this all off: Just very briefly, what is himmelbeet for you. How do you want the listeners to imagine this place? Sounds good! Now, I’d love you to take us into that story of how this beautiful project was born, how you got involved… Tell me a bit more about that. That was on the rooftop? Yes, originally it was a parking slot for cars, but the planning there didn’t work out at all. It was free space, they didn’t use it. Plus you had some supermarkets in the mall and together, they had the idea to sell some vegetables from the rooftop in the supermarket, which is really cool! Oh right! So, because it was on the rooftop - is this the reason why it’s been called himmelbeet? That’s the point, yes. We came close to heaven with that! 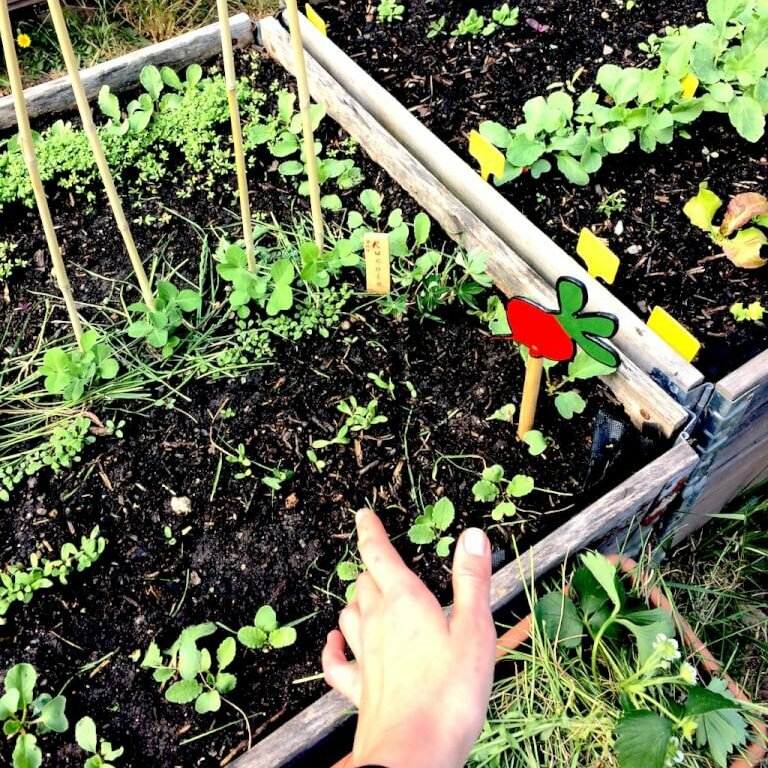 It was more than only a garden. It was more like a cultural space… There was a small cinema, too. Once I saw the big plan and you could see a sauna, and lots of other really interesting stuff. Wow! But then in the end it didn’t work out? Yeah, true, that’s often a reason to stop projects like this… BUT - we don’t want to complain, because this place here is also really really beautiful! You come around the corner of this super busy street, surrounded by concrete, and then in the middle you have this green oasis. So I’d say it worked out really well. I guess you have to be inventive and take compromises - if one dream doesn’t quite work out, you go and do it somewhere else. And then, when did you join the team? Oh, your dog is super cool, she’s playing around us here all the time. Haha, right. And we’re now sitting in the café - that was added a bit later, but I think now it’s kind of the heart of the garden, right? Mmh, I think the café, you shouldn’t look at it separately. I think it’s part of the entire concept. You’re right. And if you order something like a mint tea - can you actually go and pick it in the garden? You can pick it in the garden 🙂 We also cook with some of the vegetables... But we also need to add stuff, which we get from different biological (organic) shops around the area. Yes, that’s right. Also, there’s some visitors that really come here for planting, they maybe never even entered the terrace or the café and that’s okay. You also have places to sit on your own in the garden… But the majority comes here and also uses the café. This is amazing! I mean this is what you want right? To have a place for exchange… Talking about the activities: I know you have SO much more going on. Can you just talk about a few more things that people can do when they come here? Well, apart from just gardening there are several activities or events, like the summer fest in July, or the beginning and end of the season. And we have a project called "tuml". It’s about inclusion, we wanted to make it easier for people to enter the garden, especially for people with handicaps. We’re in contact with some institutions here in Wedding. That’s such a good thing! Is it also linked to the refugee situation somehow? Are you in touch with organizations like that? We are. Well there are organizations who care for them with their resources. Here in Wedding it’s “Wedding hilft” and some others. And we’re in contact with them and offer the garden as a platform for people to meet. That’s nice! It’s about bringing the people together here. And I think you also work with the Food Assembly? ​Yes, that’s once a week on Wednesday. 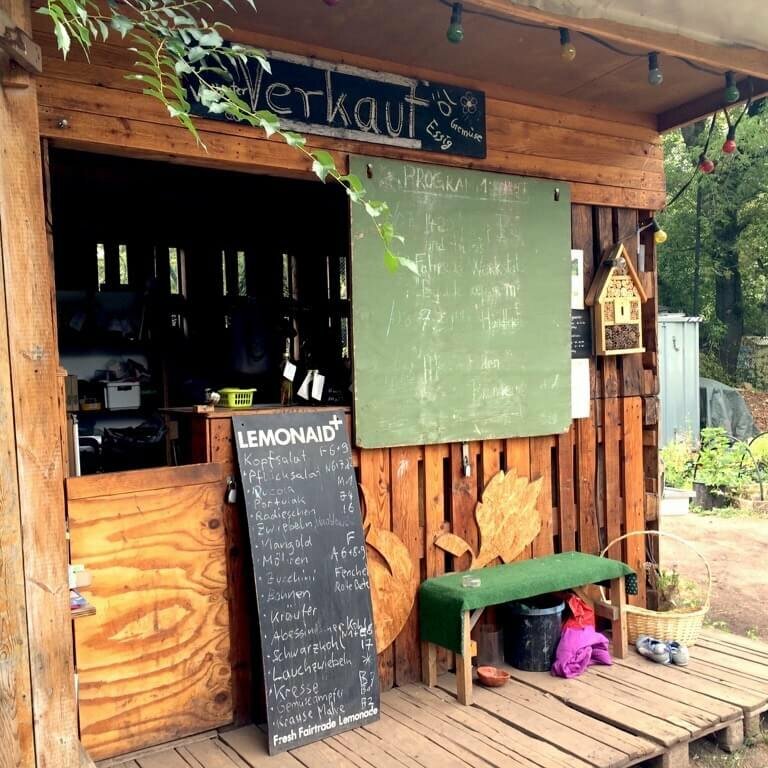 Food Assembly is a pretty known concept from France and it fits to the ecological idea of thinking local, buying regionally, using organic food… The idea is that farmers near Berlin come here to sell their products. So it’s a nice opportunity for people to meet the producers and talk about the things they sell. Great, so you don’t have to go out of the city, they just come to you. It’s such a good thing. Do you have to register? Yes, the bicycle repair man 🙂 I think it’s twice a month. There are people who have the knowledge. You come here with your broken bike and you kind of do it on your own - because it’s always nice to learn something new - but you get advice from someone who have the skills. That’s so good, I definitely have to come once! Because I LOVE my bicycle, but I don’t know at all how to repair it. I think it’s great that you really push that people come together and just try new things. Wow, did you build that here? We built it together, yes. Many people were helping with that, so it’s a community product. We want to build up a new outdoor kitchen and it’s part of the tuml project - but also for the entire garden and everyone who’s interested. So if you want to learn something new about bread and wheat, just come here. Oh yes!! Too good, I really have to come back for that soon. And one thing that really grabbed my attention is the engagement of himmelbeet in moving towards zero waste. I think you’re doing some things in the café and I read about teaching others. Can you tell me a bit about that? Yes, it all started with building the café. It’s made out of palettes and mud and clay, so sustainable materials. It looks really awesome, it has also won some architecture prize... The idea was to bring this concept into the kitchen as well. And now we have a low waste café - so it’s not a non-waste. Because we are no experts (or maybe some of us are by now). Last year, we also got a bit of funding for a zero waste project. So we did research in this area and talked to Späti* owners and some cafés. It’s incredible how much waste they have! I didn’t realize how much it is, just for the small Späti. It’s the waste you can’t see on the street because it’s in the backyard. It’s incredible. So we ourselves try to produce as little waste as possible. We have no plastic inside, use reusable dishes… it’s a good way to have this topic in mind. Very right... 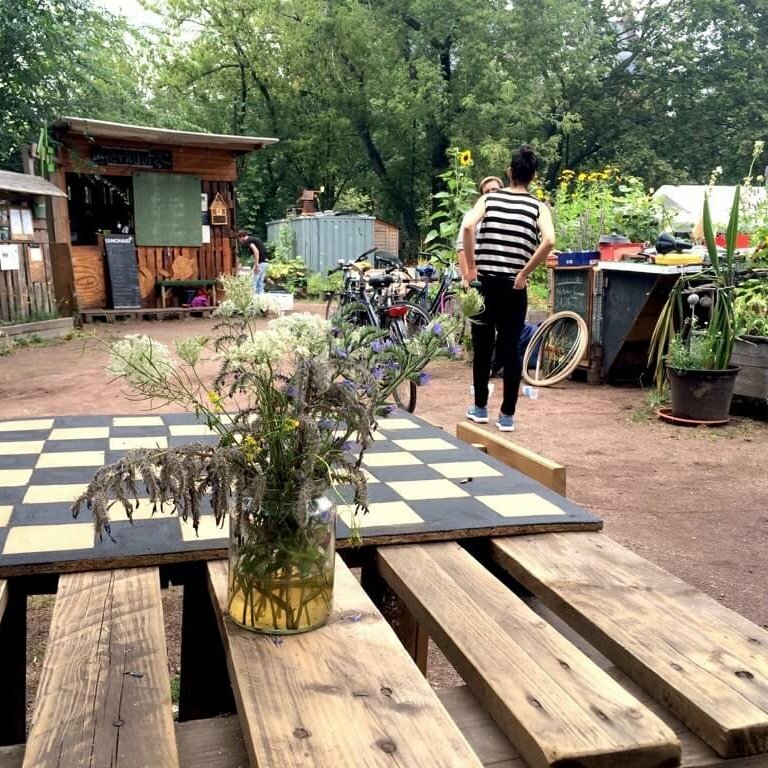 Okay, coming to the location of himmelbeet: Why do you think that places like himmelbeet fit in so well with Berlin at the moment? It was not made up by the administration, we just grew. That’s totally what Berlin means for me, people with great ideas, and this feeling of “just go out and do”. Just try and see what happens - and even if it fails, you get creative and have another idea. Oh yes. And what makes this particular neighborhood the perfect “home” for himmelbeet? Maybe because it’s Wedding 😉 This was kind of the first project here in this area. It’s changing a lot recently. It’s a bit of a hot topic. If you think of gentrification we also ask ourselves “what do we contribute to it”. Yeah, it’s kind of a challenge if you create beautiful places and you want to attract people, but at the same time to balance it out. Yes, for instance on some websites, for the housing market they advertise with “you can see the himmelbeet from the window” and stuff… and that is a hot topic, which needs to be discussed in our team. Sure. At the same time you want to make the district more beautiful right? So you have to find the balance. ….which is a really nice approach, to bring everyone together. I mean we can learn something from everyone, no matter where you come from. This is what makes Berlin - and places like this interesting. I think I remember you telling me that you team up with some other projects in the area, is that right? That is right. There are lots of interesting and cool projects here in Wedding, like the Baumhaus. Or we especially have a lot to do with the Weddingwandler. It’s a so called Transition Town Movement, maybe you’ve heard about that. It’s originally from Ireland and it started when people were kind of fed up of politicians talking about sustainability - they wanted to create something that is really sustainable and local and from the bottom up. And one such movement is in Wedding (the Weddingwandler). So it’s about sharing your skills? Oh that’s cool! So that adds to your activities and your program as well, right? Yes. We have the same kind of ideas, if you think about the ecological transformation (or however you call it)... Also there’s always someone living next to you who has similar ideas, so you could create something new together. This is such a good idea, because I’m sure that people get really disconnected in their houses. You live next to each other but you don’t really know anything about the other, it’s very anonymous. And then you might need something and there’s someone living above you who just has this thing, or knows how to do it - but you don’t know. Oh yes, now for my new flat, I always need a ladder and I think, why is there not one ladder for everyone in the cellar - why does every flat has to have its own ladder, this is so complicated! Oh, the Weddingwandler have also built a cargo bike, for themselves, and they placed it here in the garden and you can just come here and rent it for little money. Just a few euros, as security that it won’t be destroyed - but everyone needs a cargo bike once in a while! Unless you have a big car, but most people here in Wedding don’t. So that’s one example how those different organizations and groups interact. Lovely, lovely, lovely idea! 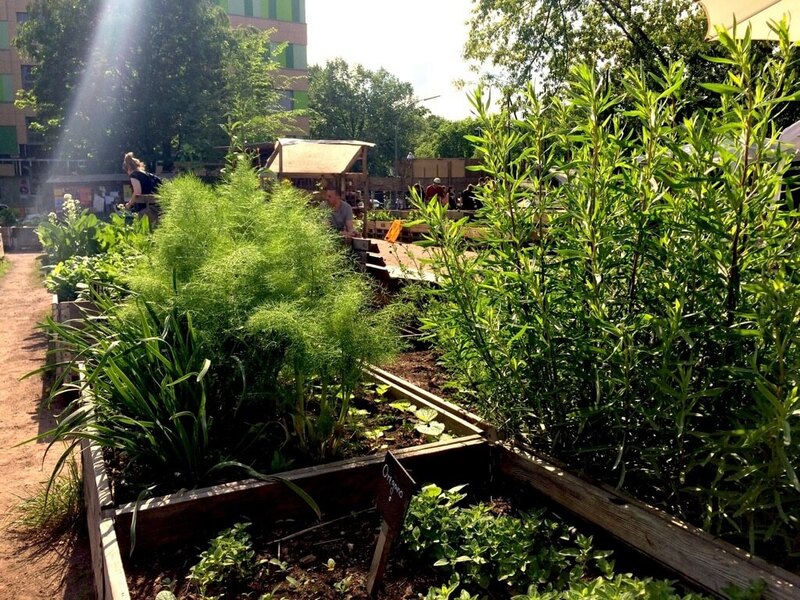 And… What makes you feel really passionate and excited about being part of the Berlin green scene? And when you wake up, and you think of himmelbeet - what makes your heart sing about getting here every morning? I think the first thing is the nice people. That’s also a good point, yes. If you enter the garden and if you leave the garden, you’re in a completely different mood. Nice... Ok, one question that I kind of ask all my interview guests from now If you could change one thing in Berlin within the next 24 hours - what would it be? … so if I was the ruler of Berlin, I would introduce a law which would be called the “reclaim your city law”. SO good Jonas! I’m definitely gonna vote for you!And - If there was one thing you could pass on to the GreenMe Berlin community out there - what would it be? That was a really good finish… Jonas, I’m super grateful for the chance to talk to you and learn more about all those amazing things and your team create! Berlin is just getting so much richer from all your visions, actions and energy - and I’m hoping that lots and lots of people get inspired from the things you do…. So, you guys out there - I honestly cannot imagine that you’re not feeling inspired and curious to check out himmelbeet and meet this amazing crowd here now 🙂 Hop on your bikes (or the metro if you have to) and come over. The team here is doing so much for us and this city, check out their special events or just take a relaxing break from the hustle of the city. 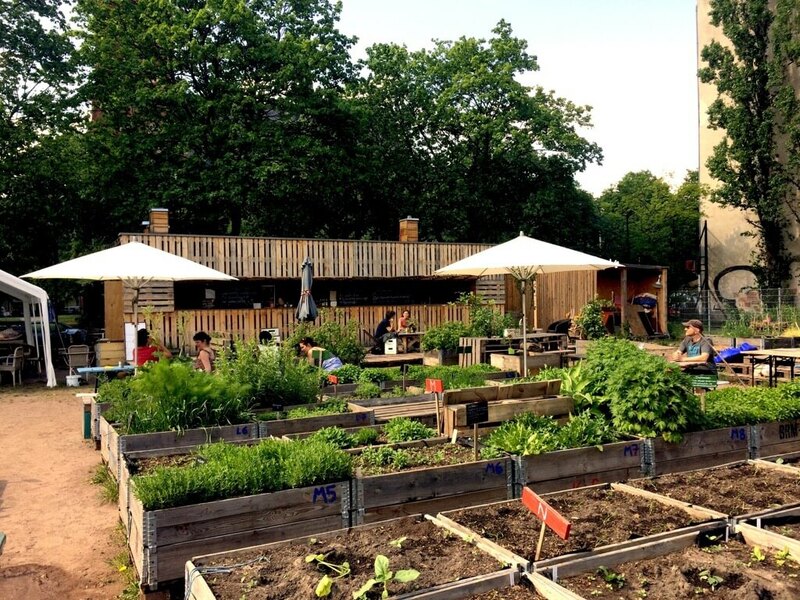 You can find all the details about himmelbeet below the interview, and of course, you can find them on the GreenMe Berlin map. And if you’re not in yet, sign up for the GreenMe Berlin news and you not only get notified once the next inspiring interview is ready - you’ll also get to download a Best of Guide to some of my favorite places.